To say Alton Towers has struggled massively since the Smiler accident this summer, would be an understatement. The park has been virtually deserted during weekdays, including some over the usually-busy school holidays. Now that we are into September and term-time has resumed, rides away from the CBeebies Land barely attract any sort of queue. Indeed, it is the recent addition of the BBC-themed children’s area that has most mitigated the effect of the Smiler crash. 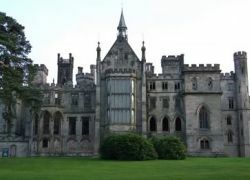 However, Alton Towers and publicly-owned Merlin Entertainments must demonstrate to shareholders that is taking further measures to limit the damage until the park’s reputation recovers. Rides are now closing at 4:30pm on weekdays, a change which cannot be criticised with too much justification. The quietness of the park means that even if it were to close at 2pm, the number of rides and attractions you can experience far exceeds what you could manage on a pre-crash peak day. As the Smiler inches towards reopening, likely for the start of the 2016 season, bosses are also demonstrating to shareholders that they are in no rush towards a reopening which would provide little financial benefit at this time. If the park’s popularity has been hit since the accident, then the ride itself is likely to suffer and even greater level of boycotting. Nevertheless, a reopening is part of regaining of the public’s trust. It’s just that the remaining three trains will probably provide more than sufficient capacity for some time after that happens. With the Health and Safety Executive’s prohibition notice still in force as late as last Friday, an opportunity to eradicate any potential PR embarrassments at reopening is also likely to be taken advantage of. As Merlin announces its trading update on Thursday, the inevitable gloom could be offset somewhat by reference to the appropriate decisions that continue to be taken at Alton Towers. 1 Comment on "Editorial: Alton Towers’ early closes make sense"